As the end of the year draws near, I’ve been looking at my credit card and wondering if I’ll make it through the $25k spending tier to get annual bonus of 10k Miles. My account closes on December 15th and, if I make it, I’ll get bumped up to the next frequent flyer level. 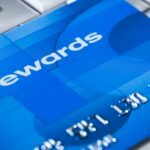 This isn’t a huge deal, but there are some nice perks at the next level (e.g., I’ll earn miles faster and get periodic free upgrades), and the miles themselves are worth about $100. With that in mind, I’ve been looking at what I can do to make it over the hump without actually spending more than I otherwise would have. Did you know that you can buy $1 coins from the US Mint at face value, and with free shipping? Well, you can. They’re available in quantities of 250 or 500, which would make a nice little dent in the problem. Note that the goal here is to get these coins into circulation, so the Mint asks that you don’t simply deposit them in the bank upon receipt, though there’s really no way for them to enforce this expectation. Another good way to get over an end-of-the-year threshold is to pick up some gift cards for stores where you spend a decent chunk of money. For us, that would be places like the grocery store or Sam’s Club (Walmart gift cards are good either at Walmart or Sam’s). Another place where we shop regularly is Amazon, so we could pick up some Amazon gift cards and load them into our account for safe keeping. The goal here would be to effectively prepay for some purchases in the current month. Finally, my wife and I have made a tradition of making the bulk of our charitable donations between Christmas and New Year’s Day. While we write a check for certain donations, we’ve typically used a credit card for others. This year, we’ll probably sit down over Thanksgiving and figure things out a bit earlier so we can make those credit card donations during the current billing cycle instead of waiting until the last minute. Tyler, the blogger at Advanced Riskology, wrote a post about buying $15,000 in coins from the treasury, then depositing them in the bank, in order to amass frequent flier miles. @Steve: I never suggested that the treasury is doing this to scam the public. My point is what it costs the treasury to “create” the coins is NOT what face value and is nowhere near it. Most people are not aware that a quarter doesn’t cost a quarter to make or is worth that amount. See my point now? @Investor Junkie: You are joking right? Why would the treasury dream up this program to sell dollar coins for 80 cents profit apiece, when they can sell 100 dollar bills for $99.80 profit apiece? The Fed may be trying to devalue the dollar, who knows. But even if they are, the direct ship $1 coin program is not part of such a scheme. The only goal of the program is to raise awareness of dollar coins, which cost the Mint less over time. I bought a grand of coins a couple years ago and charged to my visa card and got 1.25% cashback ($12.50). Yes! I make an additional payment towards my cell phone bill, whatever amount I want. It doesn’t get any easier than this! also note, regarding the coins, the website says this…..
Andrew: To be clear, my plan would be to buy a bunch of coins and then gradually spend them down. I’m not planning on buying thousands of these for deposit, just pointing out that the Mint frowns on those who do. Also, buying coins like this would be in no way cheating my credit card company, as they’ll get paid for the transaction just the same as if I went to the store and spent the same amount. @Andrew: You are joking right? Who’s “cheating” who? – CC companies you aren’t cheating they make their money in the processing fee. – It can be said the US treasury (with aid from the FED) devaluing the dollar. – The actual cost to make each dollar coin is minimal. I don’t have the exact amount, but I believe it’s in the $0.10 – $0.20 range. 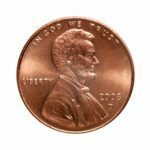 We are actually losing money on pennies and nickels. I’m not suggesting do this, but let’s be clear who’s “cheating” who. 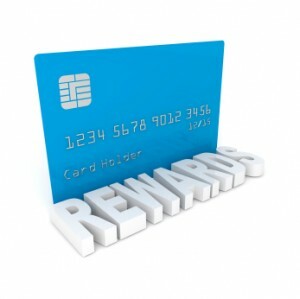 A lot of options mentioned by Investor Junkie don’t let you use credit cards without paying up the yinyang in fees. Don’t do the 1 dollar coin thing. It’s a good faith effort from the US treasury. This program actually costs the treasury money in terms of CC fees and shipping (coins are HEAVY). Don’t cheat your fellow taxpayers, and don’t cheat your CC company. It should be said, Not all of the above are interest free so be cautious, and don’t do it just to get points. I thought the US Mint was cracking down on that practice?